Berlin’s vibrant life is obviously powered by its colorful characters, but it really wouldn’t the same without some of the unique event locations that can be found all around town. 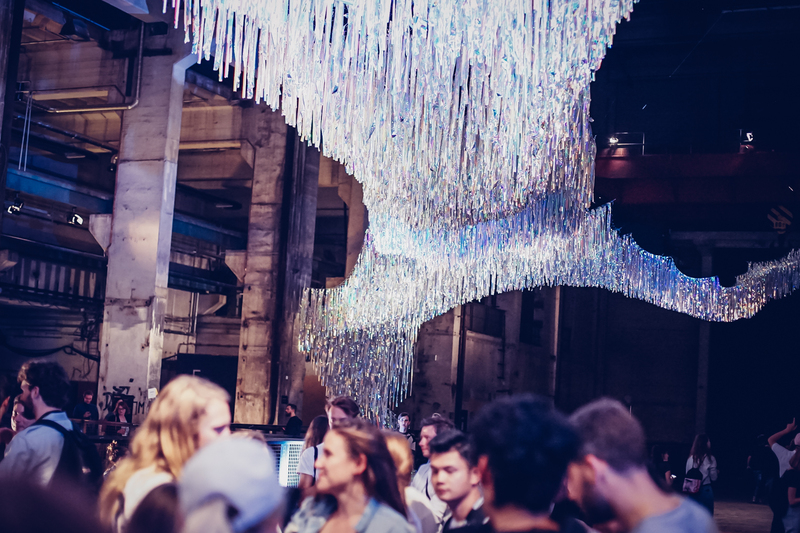 An erstwhile power plant, the former State Mint, or old industrial buildings are just a few examples of the spaces available to event organizers in our city. Read about the 10 most amazing Berlin venues that will add an exceptional flair to any party or other forms of gathering. Kraftwerk is the old power station that was designed to provide energy for East Berlin. 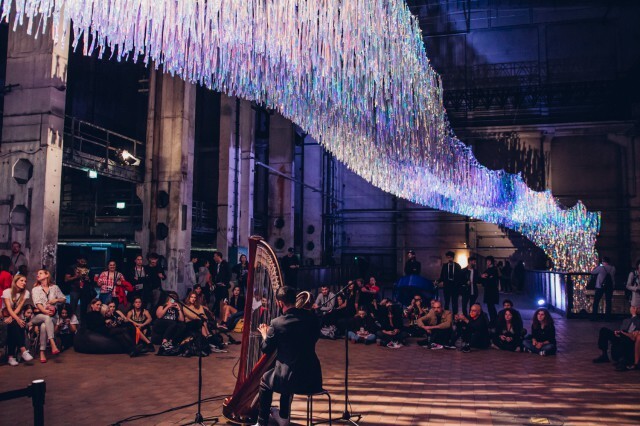 This huge industrial building with extremely versatile space was revived as an event location in 2006 – and since then, it has been the stage for many interesting exhibitions and gatherings, like the audio-visual art experience Skalar. The iHeartBerlin team has very fond memories of Kraftwerk – that’s where we celebrated 10 years of the blog! Another repurposed construction from the GDR is the Funkhaus on the bank of Spree near Rummelsburg. Back in the day, it was where all the recordings for public radio and TV took place. Now the huge, beautifully designed space is home to several artists and musicians who have their studios and rehearsal spaces in there. 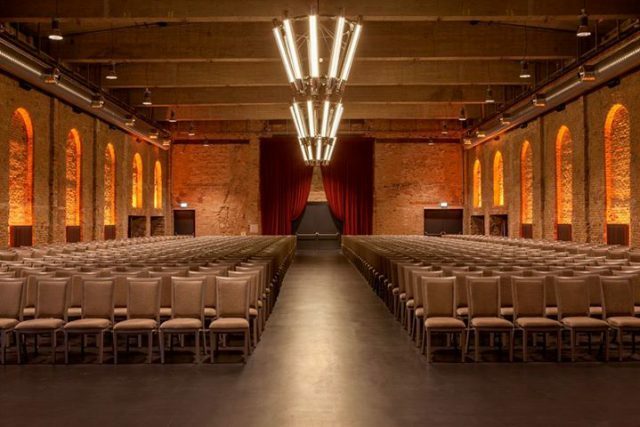 You can’t miss the chance to sneak a peek inside this monumental venue – lucky for us, they’re regularly opening their doors to host exhibitions or other special events. 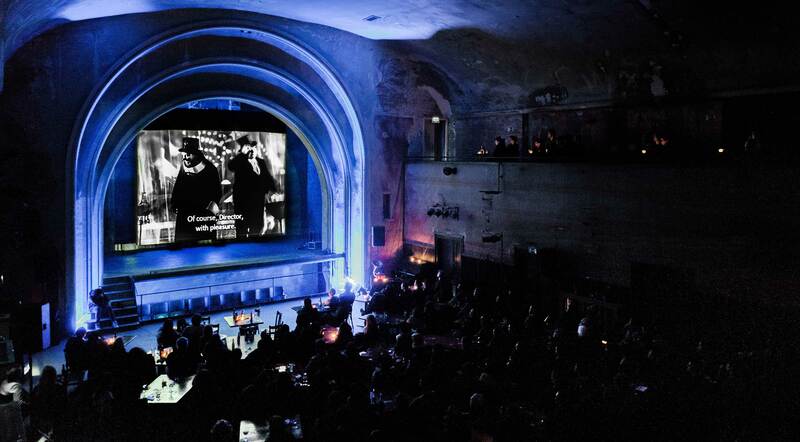 The former silent-movie theater Delphi harkens back all the way to the times of German movie legends like Marlene Dietrich and Fritz Lang. This venue in Weißensee gives you all the retro Berlin vibes one could wish for, and after years of being completely forgotten, it is now a vibrant public cultural venue, hosting plenty of events ranging including all kinds of performances. Check out their current calendar here. 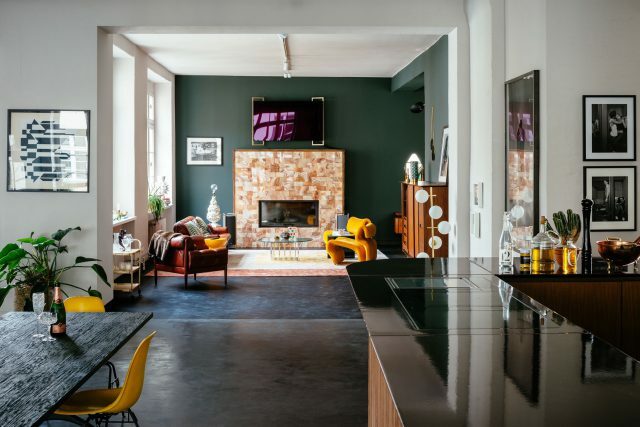 Clärchens Ballhaus is one of the precious few buildings on Auguststraße in Mitte that was able to preserve its historical look and charm. 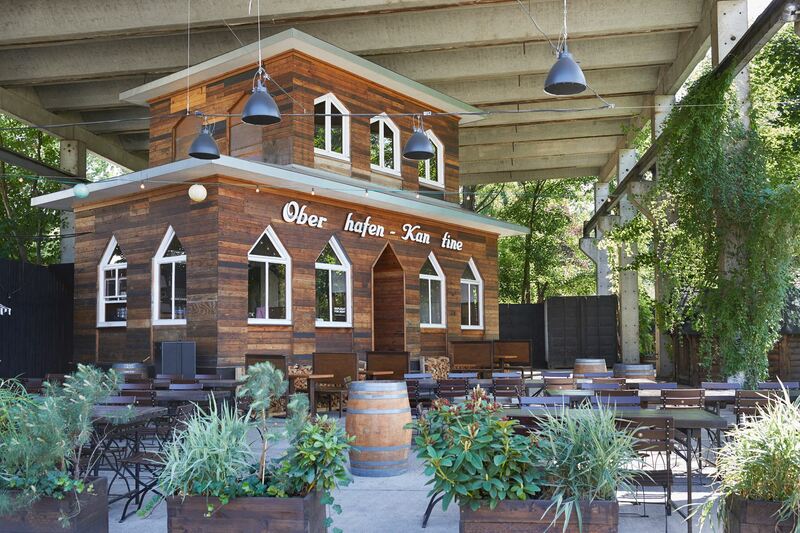 Established in 1913, this venue continues to attract Berliners with a Biergarten, restaurant, and two ballrooms. You can check out some historic photos of this unique event location here! Built over a century ago, this industrial event venue in Moabit used to be a dairy factory! Now, it is a popular space often rented out as a location for parties, conferences, and other get-togethers. Spread over three floors and including a terrace with a stunning view of Fernsehturm, it’s an impressive venue with a historical flair. They also offer catering! The venue operated by the Spreewerkstätten in the former State Mint (Alte Münze) is a collective of Berliner creatives from a variety of fields thanks to whom this historic space stays as dynamic as ever. 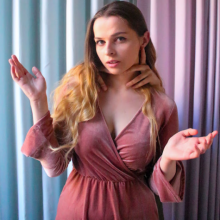 The events hosted here can include anything from a street food festival to the (in)famous Pornceptual party. The location right in the heart of the city makes this versatile venue even more attractive. A place of peace and quiet with an extremely calming ambiance right in Mite. Villa Elisabeth’s function as the parish hall of the neighboring St. Elisabet’s Church was first introduced in 1907. 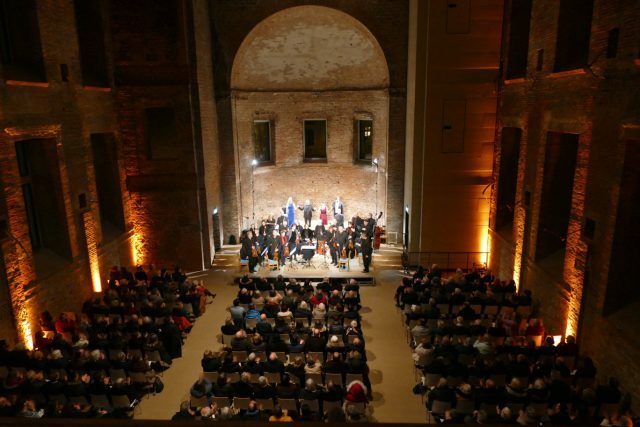 Now, along with the church, it is a cultural venue with an interesting music program and can also be rented out as an event space. The Oberhafenkantine, an event space centered around an extraordinary little house (the ”Oberhafenkantine” itself), is a popular location for wedding receptions, corporate events and all kinds of parties. The current Oberhafenkantine, built in the style of Brick Expressionism, is an exact replica of the original one that was built in Hamburg in 1925, and then listed as a cultural heritage building in 2000. 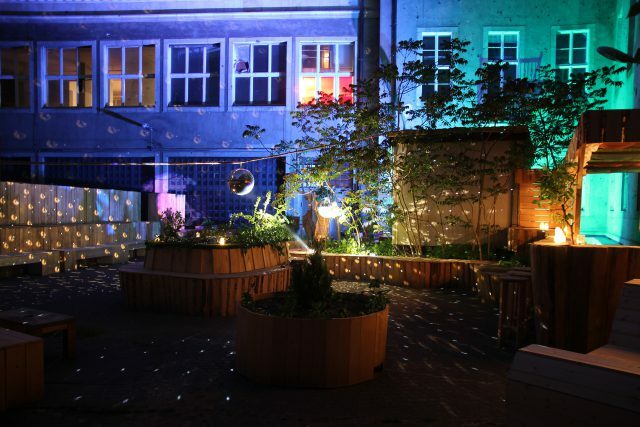 A part of the masterfully repurposed Kindl Brauerei, Vollgutlager is a really cool event location in arguably Berlin’s most fun district – Neukölln. Vollgutlager can be transformed so as to host a variety of different events with up to 1 200 guests. 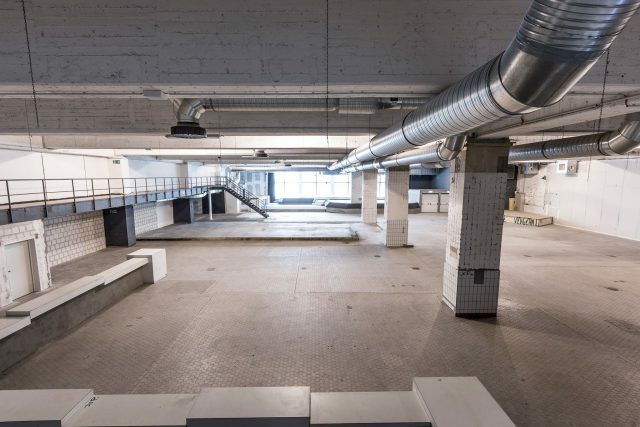 It even has an industrial catwalk which makes it a great choice for fashion organizers. It’s places like this one that uphold the view that Wedding will become Berlin’s next whole thing. This intriguing venue, supported by a plethora of cool brands, is available by appointment only, and supposed to combine ”a personal space for intimate gatherings, a living gallery, an ever-changing retail experience, and a product showplace.” Check out their current featured installation on their website.